Every one of you is aware of the teething process, as and when, it is get started in your baby. Your baby’s irritation and sleeplessness tells you that your baby is uncomfortable. Almost your boxer’s puppy also passes through this situation. 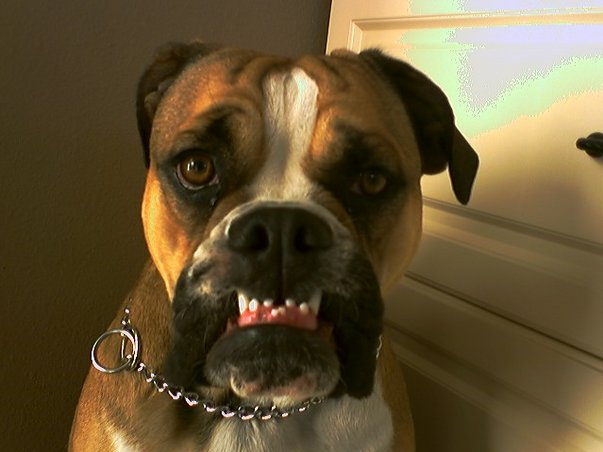 When a boxer’s pup is born, it is having 28 teeth. With the passage of time, the puppy gets older and the teething process is also beginning. 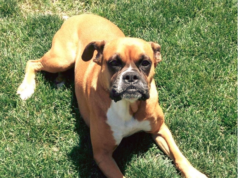 Well, this is a real testing time for the owner or keeper of the boxer. Side by side, in this period, your darling puppy can feel annoyance and impatience. Now you’ll definitely ask, why this time is testing or challenging for the owner? Because, in the teething period, the puppy starts chewing everything that comes to its range. Sometimes he’ll chew your mobile, wallet, wall-paint or even your socks. Also it can nip you as well. Now it is the temperament of the owner, which makes the things normal. Never castigate your puppy, but you need to train and redirect him with patience. For your pup’s point of view, this period of its age is of learning the things. It is a normal behavior and the big mouth of your boxer is actually the exploring tool through which he wants to quench the thirst of its curiosity. A boxer’s puppy will starts losing its temporary teeth at the age of 4 months. As an older teeth falls, the new one starts growing the same time. When your puppy will reach up to 6 months, the large and flat molars will also begin to appear from its gums. During this period, your puppy might face infuriation, toothache and displeasure. Now to appease the soreness, your boxer will chew anything. But always remember, this is a temporary situation. Things will become normal soon. It is suggested, this problem can be adjusted with some correction and training and there will occur no harm in your bond with your puppy. 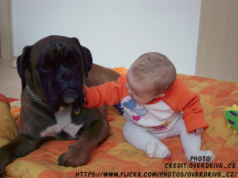 The best way is obviously to teach your boxer puppy in a gentle and pleasing manner. Offer him with the suitable alternatives to chew on. And repeat this all with consistency during the teething period. Your boxer will jump on anything to chew as its gums are really irritant so he or she has no idea, what is to be chewed and what not to be. Your puppy is just relieving its pain. So the training is must, otherwise, your puppy will develop this as its favourite habit and it will prevail even in its adulthood. It is always better to have a medical examination of your puppy in the teething stage. Because sometimes the nutritional deficiencies caused by inappropriate diet might also result in bad chewing. Even there could be gastrointestinal problems in your puppy, so better is to consult with your veterinarian. 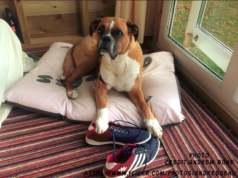 You must make sure, the harmful, toxic, chemical, household cleaners and electronic items are not kept near or within the range of your boxer puppy. Remove all other objects in which your puppy might take interest such as shoes and socks, the toys and entertaining stuff of your kids. Also restrain him in accessing to the places which it can be really dangerous for your puppy. Always persuade and support your puppy in chewing the harmless and alternative items, toys and other suitable stuff. Some colourful and attractive toys can be so appealing for your puppy. You should have a reasonable quantity of the dog-toys at your home, when you are growing up a boxer puppy. Some frozen liquids are really supportive in the chewing process. All the dog toys should be really solid as those will be in the continuous usage by your boxer. It is even better, if it is having a very low fat and longer in size chewing stuff which is also reachable to the gum of your boxer and it is also stretchable to the itching zone of the jaw. Whenever the young chap is about to take an unsuitable or damaging item in its mouth to chew, you should discourage him by a strong tone. The tone in which he should understand, “Oh Baby, this is a wrong which you were about to commit.” In this training process, this is the tone and action of the owner which makes a real difference. 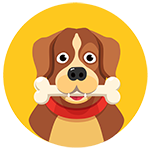 If he is still disobeying, take the object slightly out from its mouth and keep a continuous check on your puppy. At the same time, offer him with a real alternative toy in a loving and affectionate way. Always remember, if the puppy is also nipping at you, never get frustrated and don’t behave in a harsh fashion. Because, in this way, your boxer will never learn. Instead, he will become frightened of you. The best thing which can be applied during the training period training is to utter “No!” very strongly and at the same time, offering him the dog teething object. Be jolly to your puppy in the teething period. Remember, your puppy is a real exuberant, frisky and playful mate. He or she needs attention and will always require fun time. Even if you are away from home, provide your puppy with an area or space in which lots of toys are available. Normally, the boxer puppy stops chewing at the age of 7-8 months. But its habit of chewing will remain existing, if it is not given the satisfactory training during its childhood. If you keep engaging your puppy in the teething period with fun and exercises, it will not only help you in avoiding the unwanted situations occurring due to the un-suitable chewing, but also boast up the young pup and build a strong and confident personality of your boxer. This will also surely enhance the solicitous and warm-hearted relationship between you and your boxer.